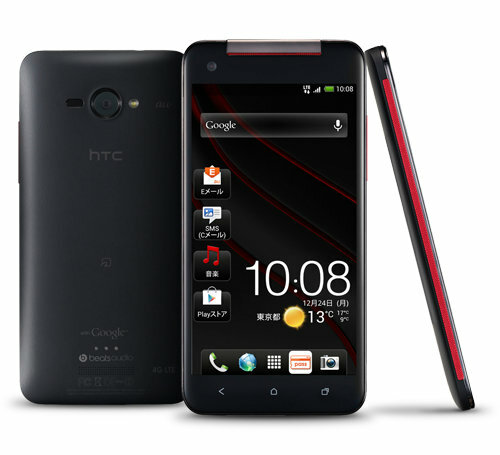 HTC has unveiled its new high-end HTC J Butterfly smartphone aimed at the Japanese market. The Taiwanese phone maker announced today the arrival of the new handset, which features a 5-inch, 1080p display. The new device, dubbed the HTC J Butterfly, will sport the same screen size as the recently launched Samsung Galaxy Note 2 and come with a 5-inch 440ppi high-resolution full HD 1920 × 1080 touchscreen display, run Android 4.1 Jelly Bean with Sense 4 on top, and be powered by a Qualcomm 1.5GHz quad-core processor with 2GB of RAM. The comment was added. Thank you!